Annie Riegert is a Curatorial Technician at TARL. This article is part of the June 2018 TARL newsletter. An ongoing digitization and records inventory project is underway at TARL. 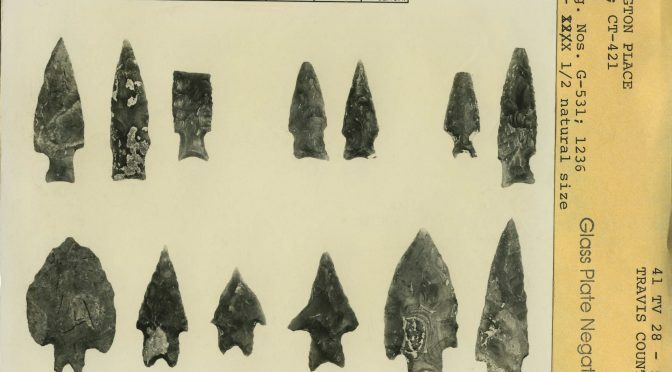 Under a 2017-2018 Texas Preservation Trust Fund (TPTF) grant, the project targets excavation and survey reports conducted in the late 1930’s as a subset of the larger Works Projects Administration (WPA) project. In the wake of the Great Depression and much needed employment, the program offered jobs on public works projects including archaeological survey and excavation throughout the country. Today, we are working on archiving the product of the WPA survey and excavation in Highland Lakes Area with a focus on Lakes Austin, Buchanan, and Travis. 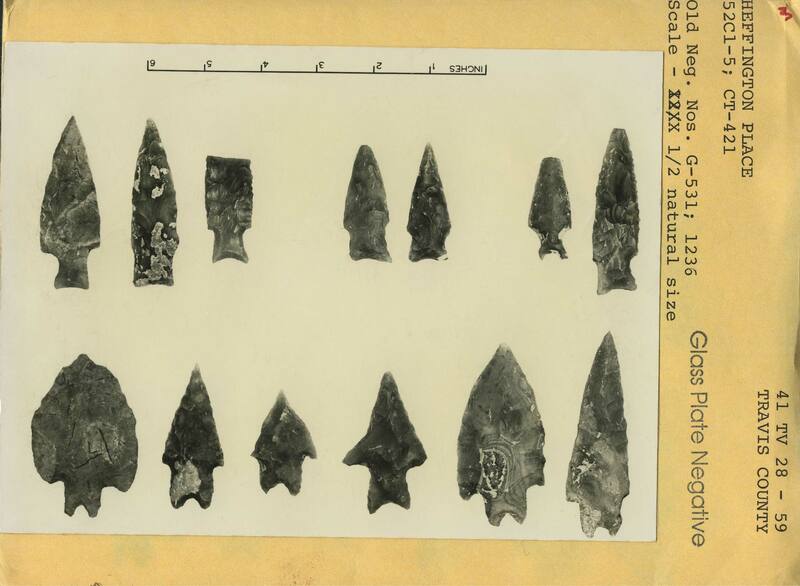 Further artifact analysis was conducted by the University of Texas in the 1960’s. Interest in the WPA project has produced many reports and analyses in various forms including records on microfilm. A database, which willhouse all excavation and survey data, will facilitate a more robust understanding of the extent of the WPA project in our local area. Additionally, digitization will enable greater access to records while also ensuring long term document preservation. We are looking forward to sharing the finished project for further research into the history of archaeology in central Texas. Archive document depicting stone tools found at a WPA site in Travis County. Are volunteers needed for the ongoing digitization and records inventory project at TARL? Is the location for the project at the Pickle Center & what are the hours to volunteer? Any other requirements? Hi Chuck, Yes, we could use extra volunteers to work on this project! All volunteers must attend a training and orientation session. The next training will be at the beginning of the spring semester in January 2019. Volunteers should be able to contribute a couple hours about once a week for the duration of the semester. The work does take place at our facility on the Pickle campus. Please email lauren.bussiere@utexas.edu if you are interested. TARL Internship Program Update for the 2019-2020 Long Session!